When will be American Dragon: Jake Long next episode air date? Is American Dragon: Jake Long renewed or cancelled? 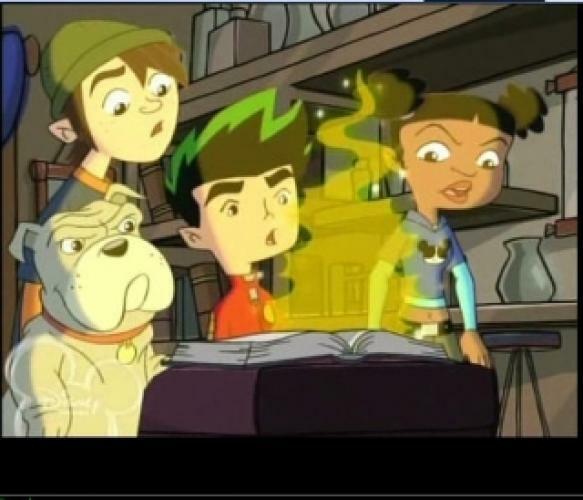 Where to countdown American Dragon: Jake Long air dates? Is American Dragon: Jake Long worth watching? Jake Long is one of New York City's average 13-year-old boys, living with his extended Chinese-American family and skateboarding with his friends... until he learns his amazing destiny. He is a descendent of dragons and, when he transforms into one of these fire-breathing, shape-shifting magical beings, it's his duty to protect the magical creatures secretly living among the masses in New York. Among them are the herd of unicorns in Central Park, the leprechauns on Wall Street, the gargoyle nest atop the Empire State Building, the Triborough Troll Bridge, the mystical city between NOHO and SOHO and the underwater Hudson mermaids. Greater New York is the American Dragon's territory and if he can make it here, he can make it anywhere. American Dragon: Jake Long next episode air date provides TVMaze for you. EpisoDate.com is your TV show guide to Countdown American Dragon: Jake Long Episode Air Dates and to stay in touch with American Dragon: Jake Long next episode Air Date and your others favorite TV Shows. Add the shows you like to a "Watchlist" and let the site take it from there.